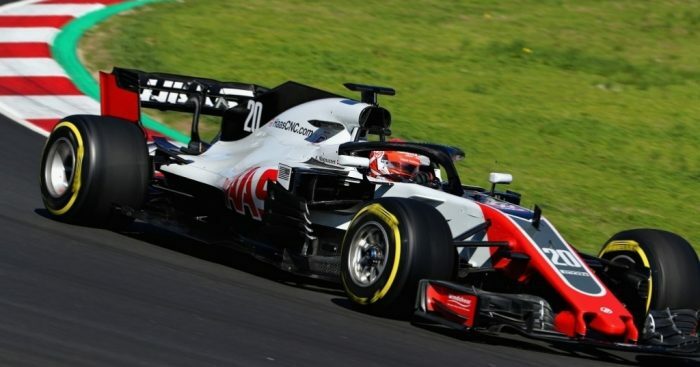 Kevin Magnussen may have concluded his pre-season with the second fastest lap time but he says Haas are “getting excited” over it. Putting the supersoft tyres on his VF-18, Magnussen set a 1:18.360 at the Circuit de Catalunya on Thursday. It was an impressive lap time as it put him second on the day’s timesheets and third on the overall log. The Dane, though, says Haas aren’t getting carried away as it is just testing. “We have to wait and see,” he told Crash.net. “We don’t know what other people can do, or if other people have a lot of fuel in the car. “We are not getting excited already. “We feel like we have improved our car, and we definitely have improved our car, but so has everyone else. “So we will have to wait until Melbourne to really get a better idea of where we are going to be.